If you use the Lifeline phone assistance program, watch your mail for the annual recertification process—there are some changes coming to nine states that TDS serves. This year, to help Lifeline customers with their recertification, TDS is partnering with the Universal Service Administrative Company (USAC). On September 13, USAC will be sending letters about the new process to customers in Alabama, Minnesota, South Carolina, Virginia and Washington. If you live in Mississippi, New Hampshire, New York or Oklahoma, USAC will be sending letters on September 20. You MUST complete the certification within 30 days or, you will lose your discount. If you are a TDS customer and live in a state not listed above, there are no changes to the recertification process. In September USAC will send you a letter with instructions. You must complete your certification within 30 days of the September’s letter date. If you don’t complete your certification within 30 days of September’s letter date, you will lose your discount. Call the phone number on the letter to tell USAC that you are eligible for your discount. Go to the website listed on the letter and fill out a form with information showing you are still eligible for your discount. Complete the paper form that is sent with the letter and mail it to USAC to show that you are still eligible for your discount. 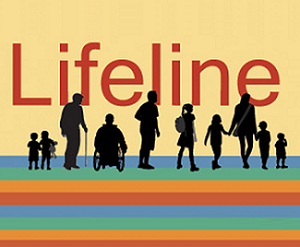 Since 1985, the Lifeline program has provided affordable phone service to low-income households through monthly assistance credits. If you or a loved one uses or is interested in the Lifeline program, be sure to watch for more updates in the mail, on the TDS Connect Blog, and also on the TDS website at tdstelecom.com/lifeline.html. For more information on the Lifeline Support program, visit the (USAC) website at lifelinesupport.org. What good is a “lifeline” when you can’t even provide basic service for more than 32 hours in western Colorado. Seems TDS just does not care anymore and are planning some sort of clandestine late-night shutdown. HiSpeed internet is still a huge joke for about 7000 of us. Maybe 2m up and .35m down. Curious in Colorado.